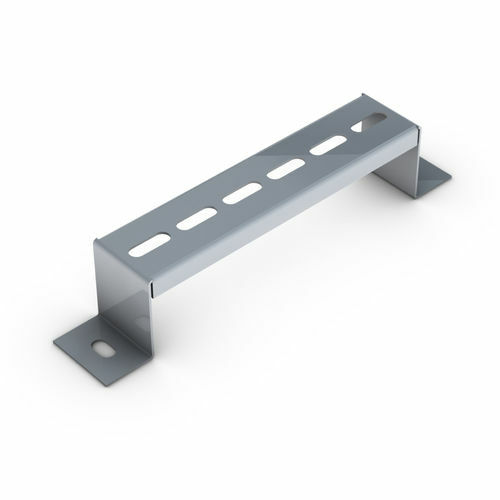 The Vantrunk cable tray stand-off bracket (SOB) is used to raise the cable tray clear of the floor or wall, providing access to the underside of the cable tray for fitting of cable ties and the securing of nuts. Fully slotted to provide on-site adjustment, the stand-off bracket is common to the full range of Vantrunk cable tray systems. The recommended maximum load given in the loading table below for each size of tray stand-off bracket is based on use with Vantrunk cable tray and with a uniformly distributed load (UDL) onto the tray stand-off bracket.